1. I seem to have loved you in numberless forms, numberless times… In life after life, in age after age, forever. 2. We do not love because we do not comprehend, or rather we do not comprehend because we do not love. For love is the ultimate meaning of everything around us. It is not a mere sentiment; it is truth; it is the joy that is at the root of all creation. 3. Of course man is useful to man, because his body is a marvellous machine and his mind an organ of wonderful efficiency. But he is a spirit as well, and this spirit is truly known only by love. 4. We never can have a true view of man unless we have a love for him. Civilisation must be judged and prized, not by the amount of power it has developed, but by how much it has evolved and given expression to, by its laws and institutions, the love of humanity. 5. Civilisation can never sustain itself upon cannibalism of any form. For that by which alone man is true can only be nourished by love and justice. 6. In love all the contradictions of existence merge themselves and are lost. Only in love are unity and duality not at variance. Love must be one and two at the same time. 7. Our heart ever changes its place till it finds love, and then it has its rest. But this rest itself is an intense form of activity where utter quiescence and unceasing energy meet at the same point in love. 8. You smiled and talked to me of nothing and I felt that for this I had been waiting long. 9. Those who are near me do not know that you are nearer to me than they are. Those who love me do not know that their love brings you to my heart. 10. Children are living-beings-more living than grown-up people, who have built their shells of habit around themselves. Therefore it is absolutely necessary for their mental health and development that they should not have mere schools for their lessons, but a world whose guiding spirit is personal love. 11. Once we dreamt that we were strangers. We wake up to find that we were dear to each other. 12. Love is an endless mystery, for it has nothing else to explain it. 13. Let my love, like sunlight, surround you and yet give you illumined freedom. 14. Let not my love be a burden on you, my friend, know that it pays itself. 15. Love’s gift cannot be given, it waits to be accepted. 16. The mist, like love, plays upon the heart of the hills and brings out surprises of beauty. 17. He who wants to do good knocks at the gate; he who loves finds the gate open. 18. Life has become richer by the love that has been lost. 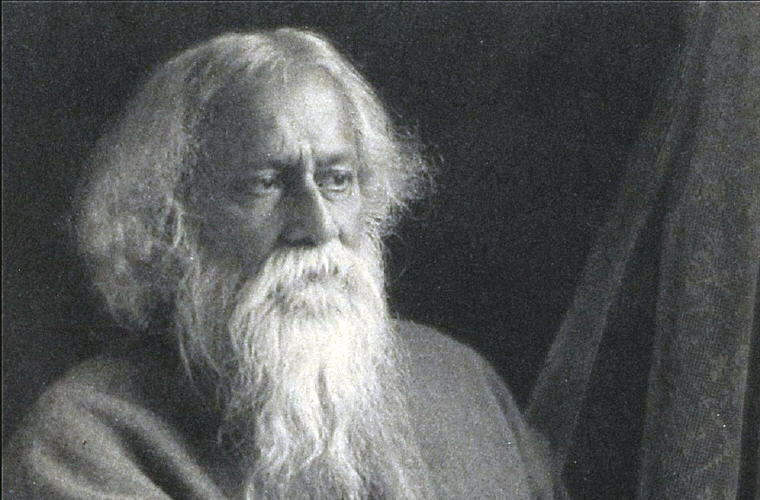 Excerpt from Wikipedia: Rabindranath Tagore (Bengali: রবীন্দ্রনাথ ঠাকুর, pronounced [ɾobin̪d̪ɾonat̪ʰ ʈʰakuɾ]) (7 May 1861 – 7 August 1941) as per Bengali Calendar, (২৫শে বৈশাখ, ১২৬৮ – ২২শে শ্রাবণ, ১৩৪৮ বঙ্গাব্দ), also known by the sobriquet Gurudev, was a Bengali polymath. 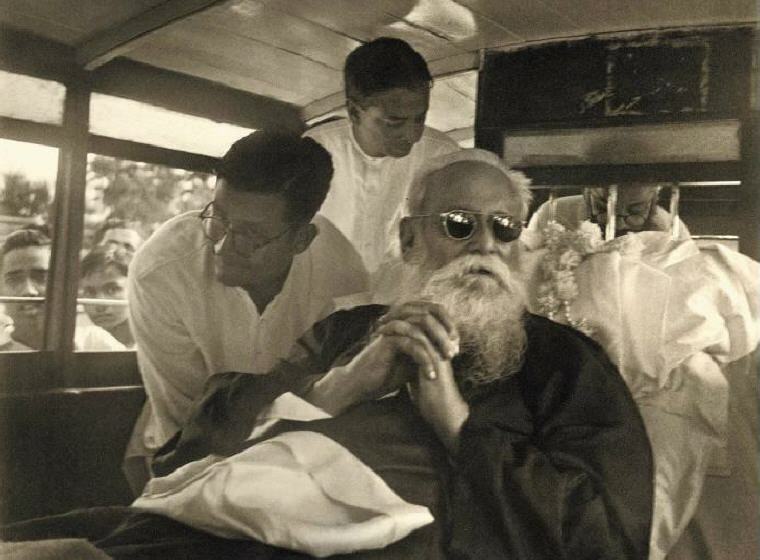 He was a poet, visual artist, playwright, novelist, educator, social reformer, nationalist, business-manager and composer whose works reshaped Bengali literature and music in the late 19th and early 20th centuries. He became Asia’s first Nobel laureate when he won the 1913 Nobel Prize in Literature. 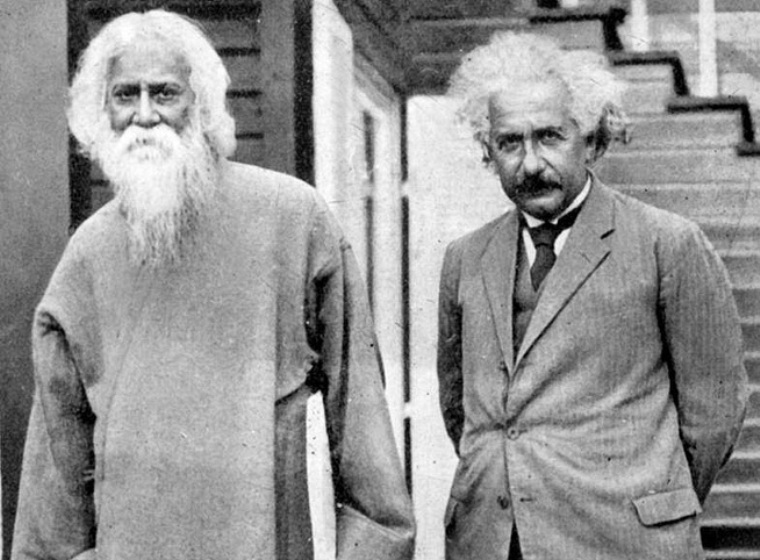 Tagore wrote novels, short stories, songs, dance-dramas, and essays on political and personal topics. 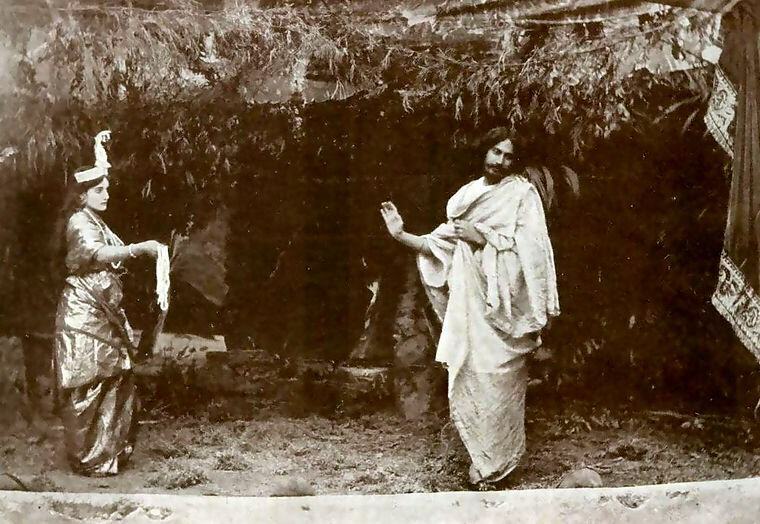 Gitanjali (Song Offerings), Gora (Fair-Faced), and Ghare-Baire (The Home and the World) are among his best-known works. His verse, short stories, and novels, which often exhibited rhythmic lyricism, colloquial language, meditative naturalism, and philosophical contemplation, received worldwide acclaim. 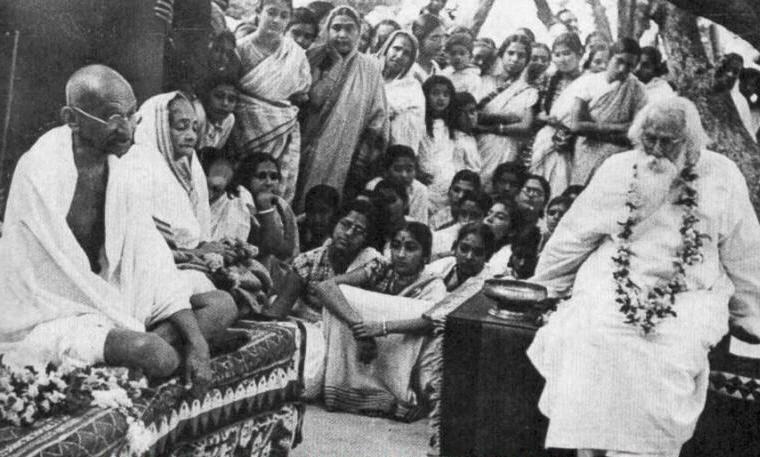 Tagore was also a cultural reformer and polymath who modernised Bengali art by rejecting strictures binding it to classical Indian forms. Two songs from his canon are now the national anthems of Bangladesh and India: the Amar Shonar Bangla and the Jana Gana Mana respectively. 1. The truth comes as conqueror only because we have lost the art of receiving it as guest. 2. Passive resistance is a force which is not necessarily moral in itself; it can be used against truth as well as for it. 3. It sometimes strikes me how immensely fortunate I am that each day should take its place in my life, either reddened with the rising and setting sun, or refreshingly cool with deep, dark clouds, or blooming like a white flower in the moonlight. What untold wealth! 4. Every person is worthy of an infinite wealth of love — the beauty of his soul knows no limit. 5. The light of the stars travels millions of miles to reach the earth, but it cannot reach our hearts — so many millions of miles further off are we! 6. When sorrow is deepest…then the surface crust is pierced, and consolation wells up, and all the forces of patience and courage are banded together to do their duty. Thus great suffering brings with it the power of great endurance. 7. Faith is the bird that feels the light and sings when the dawn is still dark. 8. The butterfly counts not months but moments, and has time enough. 9. Memory, the priestess, kills the present and offers its heart to the shrine of the dead past. 10. I have thanked the trees that have made my life fruitful, but have failed to remember the grass that has ever kept it green. 11. The faith waiting in the heart of a seed promises a miracle of life which it cannot prove at once. 13. We were together only during the few days the steamer took from Calcutta to Madras, but it became quite evident that depth of friendship does not depend upon length of acquaintance. 25. We come nearest to the great when we are great in humility. 26. Do not linger to gather flowers to keep them, but walk on, for flowers will keep themselves blooming all your way. whereby I may name thee my all. and offer to thee my love every moment. whereby I may never hide thee. and that is the fetter of thy love. That I want thee, only thee – let my heart repeat without end. – ‘I want thee, only thee’. 2. Love does not claim possession, but gives freedom. 3. You can’t cross the sea merely by standing and staring at the water. 4. Everything comes to us that belongs to us if we create the capacity to receive it. 5. When you came you cried and everybody smiled with joy; when you go smile and let the world cry for you. 6. Don’t limit a child to your own learning, for he was born in another time. 7. I have become my own version of an optimist. If I can’t make it through one door, I’ll go through another door – or I’ll make a door. Something terrific will come no matter how dark the present.